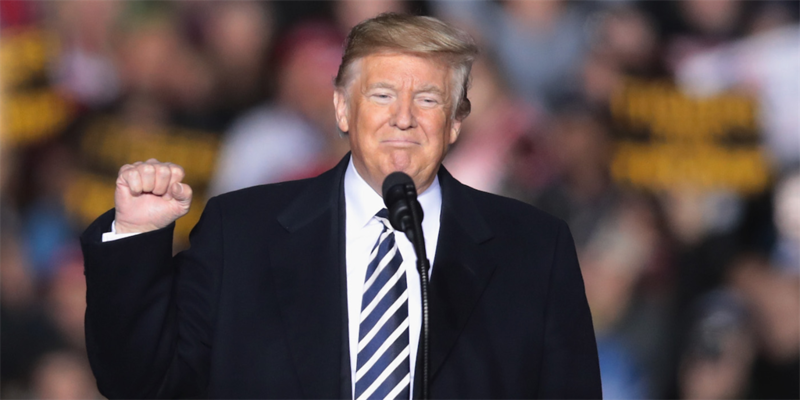 Washington – An exuberant US President Donald Trump took a victory lap on Capitol Hill on Tuesday, emboldened by the end of the special counsel's Russia probe, even as Democrats pressed insistently for Robert Mueller's full report and Justice Department officials said more information could be released in "weeks, not months". Trump strode into a high-spirited gathering of Senate Republicans, flanked by party leaders, saying the attorney general's weekend summary of Mueller's report "could not have been better". GOP senators applauded his arrival, and he celebrated what he called his "clean bill of health". But challenges are ahead for both the Republicans and the Democrats who hope to deny Trump re-election next year. Both parties are readjusting their aims and strategies in the post-probe landscape, pivoting to healthcare and other issues that are more important for many voters, even with Mueller's full findings still unknown. At House Speaker Nancy Pelosi's own closed-door caucus meeting on Tuesday, she urged rank-and-file Democrats to "be calm" and focus on the policy promises of healthcare, jobs and oversight of the administration that helped propel them to the House majority last fall. Trump has said he "wouldn't mind" if the full report were released. But Senate Majority Leader Mitch McConnell said he's hesitant to agree to releasing information from Mueller that would "throw innocent people who've not been charged under the bus". He is blocking legislation approved unanimously by the House calling for the report's release. Russia report aside, the president showed an eagerness to move on. He told GOP senators that healthcare should be their focus heading into the 2020 election. "I was a little surprised he came out of the chute in healthcare," said Sen. John Kennedy, R-La., after the meeting. "He wants us to try again." Even so, the White House was making a new effort to get rid of the Affordable Care Act entirely. In a legal filing late on Monday, the administration said it would not defend the act against a court challenge – essentially encouraging the law's demise. Pelosi's advice to Democrats to stick with the strategy that won them control of the House in 2018 was reinforced by Obama himself, who counselled freshman Democrats at a reception on Monday night. Obama advised the newly-elected lawmakers to focus on constituents' hopes and concerns, while also identifying issues they feel so strongly about that they'd be willing to lose their House seats in fights over them, according to people at the private party.